Today is Sunday, and a two blueberry pancake and four cups of coffee morning. I like the colors of this time of year in Vermont: the fields pale yellow-gold of grass now out from underneath the snow, the dark brown-gray of wet earth, the glimmer of puddles reflecting cloudy luminous skies, tree branches still stark and bare. 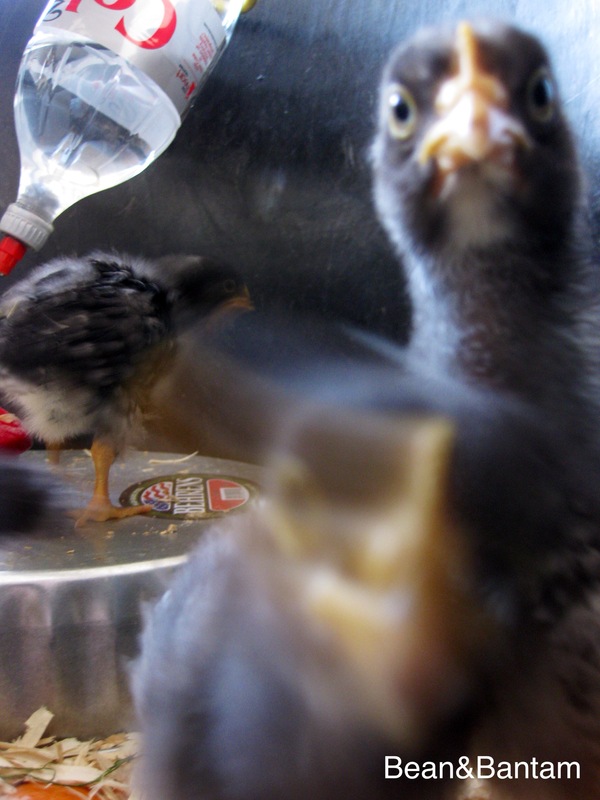 The Beaky Blinders Gang – these two-week old chickens are very curious about the camera. If I were to see this expression on a person… I might back away slowly. It’s still below freezing outside, and we still have chickens in a brooder set-up in the house. 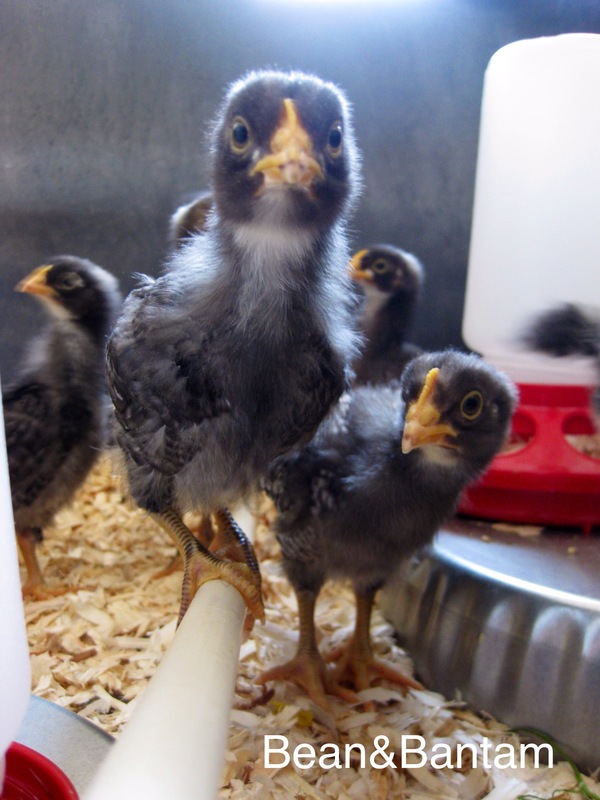 I will soon be updating my Week 1 chicken post, in which I gave some (wildly optimistic) tips about raising chicks in the house. Having chicks indoors is do-able at the two-week point, but more daunting, and my post was correct for one week old chickens, but not at this stage. 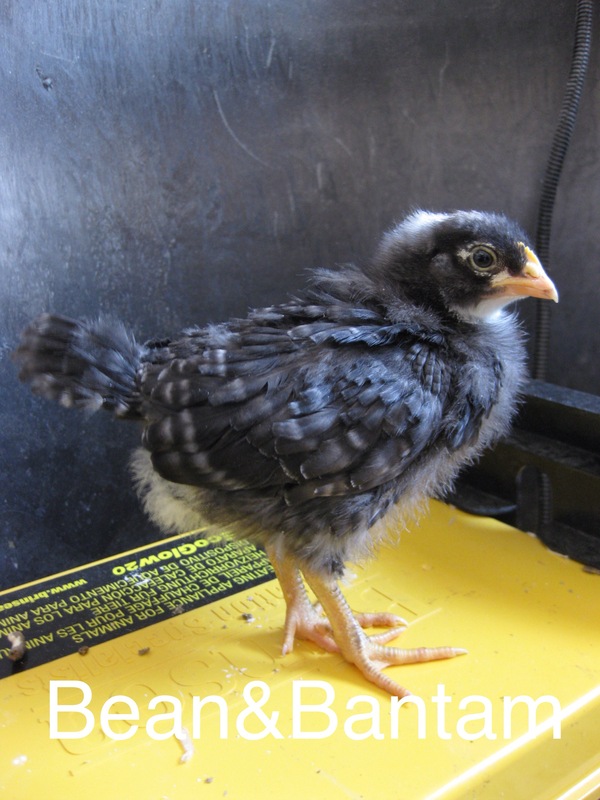 Chicken growth is amazing; these chickens double or triple in size from week to week. This means the potential for noise and chicken-stink also doubles or triples each week. I think we have five hens and one rooster, possibly two, going by the darker coloration of most of the birds. I’ve read that barred rock roosters inherit two barring genes, the hens only one. Two barring genes makes for the lighter colored rooster. We shall see as they grow. Two-week old barred rock rooster. I just finished watching Seasons 1 & 2 of Peaky Blinders on Netflix (on BBC in the UK). It’s the best television I’ve seen. Better than my earlier favorite, Band of Brothers, and better than Deadwood. The music, the visuals, the plot–love it. I recommend giving it a try if you haven’t already, but do know that the first two episodes are a bit slow, and then it grabs you (or that’s how it worked with me). I may call this chicken flock the Beaky Blinders, and name them Grace, Tommy, Arthur, Aunt Polly, and May… Have you seen it? Do you love it? Onto the rest of my Sunday; I have a lot of reading to catch up on, a toddler to play with, chickens to tend, and two large dogs that I have promised my husband I would give a bath this afternoon (can’t have the house smelling like dog AND chicken!). And then, back to the office tomorrow for a whole new week. 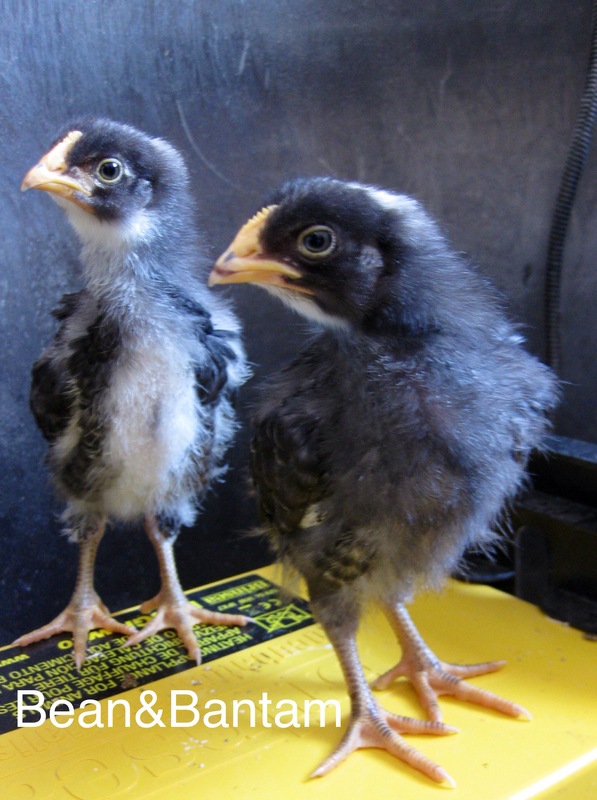 For Week 1 of Chickens in the House, and tips for setting up a keeping an inside chick brooder, click here. Blueberries and Beaky Blinders. Such alliteration. I have not seen the show, but we are fans of several British shows – Father Brown and Call the Midwives to name two. I like the captions you added. You always make me miss Vermont. I can’t believe I’m so interested in chickens! The pictures bring a smile. Love the photos, all the detail about the feathering out on different parts of the chick’s body. The Gang looks healthy. Love their alert focus on the camera. Look forward to seeing their reaction when they finally get out-doors. Are you going to use a “chicken tractor” to keep them safe from predators? Now that the songbirds are back, I saw the usual hawk this morning, perched high on a tall tree, viewing it all. They do have some cute little faces. They do, and chickens are somehow closely (relatively speaking) related to dragons, er dinosaurs. We raise ours in the garage until fully feathered at about 4 weeks, and by then we are beyond ready to move them outside! I can see why! These chickens are headed outdoors soon, or to the garage if the size and the smell of continue at this growth rate. It’s not unbearable yet, but it is a bit more than I expected.